Szydlowski scores game-winner in overtime. Jeers to 33.2 for quitting on the television feed 5 minutes into the game due to technical difficulties. Do interns run that station? Happy for Coach Graham. Not only for the success the Komets have enjoyed, but also the personal (family) victory experienced by him after last night's game. We have a coach that has his priorities straight. My family and I couldn't be more happy for you and all of your family. Next Komet ECHL player of week should be Szydlowski. He has already scored more goals this season than all of last years regular season. 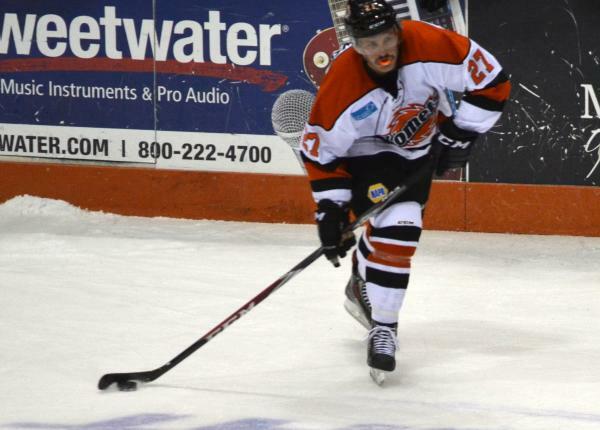 Great job Komets--it is a relief on the blogs--it is sad that the comments don't come with success! Applauds to a great young, strong and idwinning team--keep it going and Thanks so much!